Saudi ethnic food combines meat and rice as the main ingredients. Dates, Arabic coffee, yoghurt, and fava beans are other traditional staples. Meat is cooked in various ways. Lamb is the most highly prized meat. During special events, lamb is cooked in various ways. For instance, mathbi involves grilling seasoned lamb or chicken on flat stones that are placed on top of burning embers. Mandi is another ancient way of cooking: lamb or chicken is prepared with rice, spices, and water and is barbecued in a deep hole in the ground and covered until the meat is cooked. 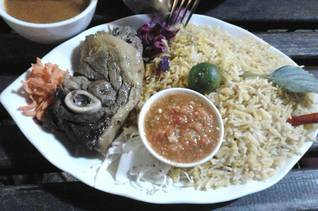 Saudi Arabia’s national dish is called kabsa, made of rice and boiled lamb. South Asian, Arab (mainly Lebanese), and Western cuisines are now available. 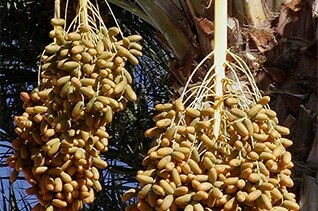 Local dates are abundant and are eaten all year but especially to break the fast during the month of Ramadan. The cuisine of Saudi Arabia is regionally diverse. Seafood is popular in the southern and coastal regions. Wheat is another staple in the Saudi cuisine. Qursan is a dish prepared of thin dried wheat loaves with gravy and cooked with vegetables and meat. Rice is a staple in various recipes. Kabsa, saleeq, and kushari are popular Saudi recipes. The influence of the diverse ethnic populations in the western and eastern coast areas have created a rich combination of flavours – Yemeni, Egyptian, Indian, Afghan, Turkish, among many others. Saudi cities offer a wide choice of food in traditional and upscale restaurants. Fast-food restaurants of various local and international brands are also popular. One of the most popular local fast-food chains in the Western Province is al-Baik, which serves fried, breaded chicken cooked using a delicious secret recipe.